A new “urban concept” grocery store will be opening in the downtown Ice District, at the site where the former Greyhound bus station. It's the first downtown supermarket to open since the Sobey's on 104th street closed in 2014. 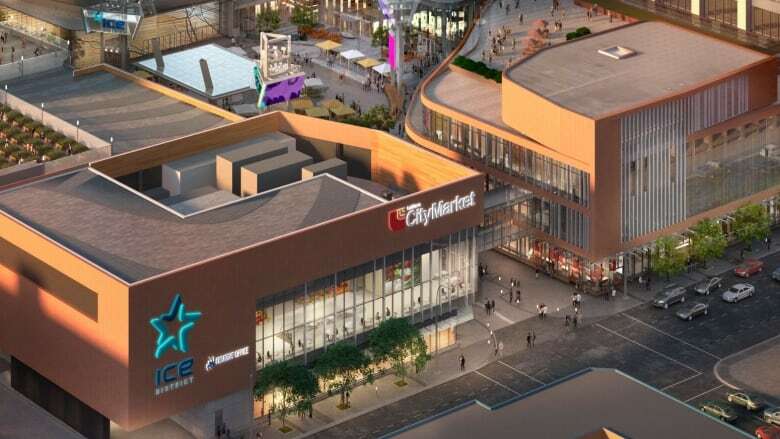 A new "urban concept" grocery store will open in Edmonton's downtown Ice District, at the site where the Greyhound bus station had been located up until 2016. Loblaws plans to open a CityMarket grocery store on the site in 2020, the Ice District announced Monday in a news release. A spokesperson for the Katz Group, which owns Ice District, said residents have been advocating for a more walkable community. "The big thing again people have been telling us is, 'We want a grocery store where we can walk to. We don't want to get in the vehicle. We want to be able to walk or bike to the grocery store, have that truly downtown urban lifestyle,' " said Tim Shipton. "To me, having the anchor tenant in Loblaws as a grocery store is a huge win for downtown. It's a huge win for our project." Those who work and live in the area aren't complaining. Megan Karasek works in the Stantec Tower on 103rd Avenue and drives to work. She's still looking forward to the convenience of a nearby grocer. "I can just run to the Loblaws right there, which I think is going to be really cool. And then that might free up time in the evening." "I think it is really important because there's so many people moving down here," she said. "And if we want to make Edmonton more walkable we need to have these grocery stores downtown." David Owen also works downtown and said a nearby grocery store is well overdue. "It's about time," he said. "The people who live here can walk to work but they can't get their groceries by walking, they have to drive." Experts have called Edmonton's downtown core a "food desert" due to a lack of retail stores in the neighbourhood that sell fresh produce. "I think it's a pretty huge deal," said Craig Patterson, director of applied research at the University of Alberta, who studies retail. 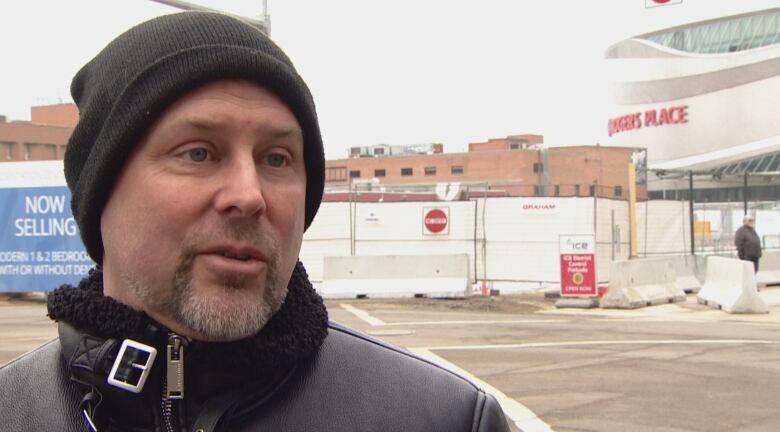 "That part of downtown Edmonton is growing in terms of population, there's a lot of condominium buildings going up and there's really a lack of grocery stores in the downtown core." Several grocery stores in the area have closed in recent years. Organic grocery store Earth's General shuttered its 104th Street location in 2017, a former Sobeys location on 104th Street has been vacant since 2014 and Family Foods further west on Jasper Avenue closed in 2014 as well. When the Sobeys opened in 2008, the store also branded itself as an "urban concept" store. But it closed after eight years because it wasn't financially viable, according to a spokesperson. Patterson said despite the growing number of residents in the area, it's still difficult for grocery stores to be profitable in the area. "It still doesn't have a critical mass to support large grocery," he said. "Downtown Edmonton's population needs to at least triple before it has any real relevance in terms of a dense urban experience." 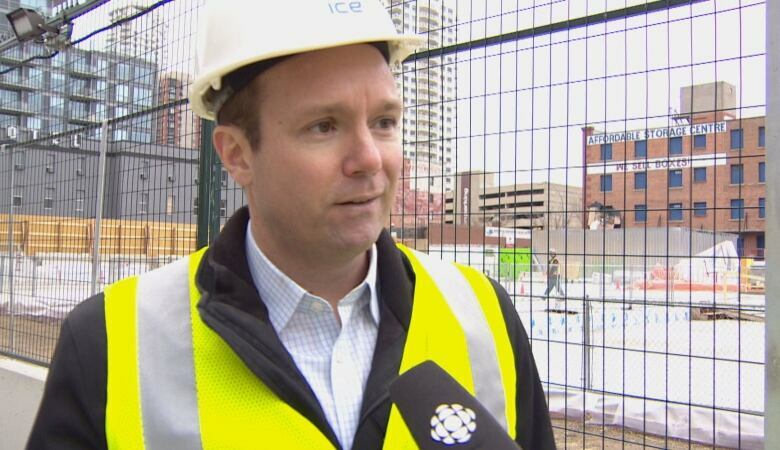 Shipton said the company has started to sell condominium units at the top of Stantec Tower. He's confident the Ice District and surrounding core will have the population in the coming years. Derrick Pittman, a Loblaws vice-president, said the "trendy, desirable" district in downtown Edmonton is a good fit for the CityMarket brand. The location, expected to open in fall 2020, will be the second CityMarket in Edmonton; one in the Brewery District opened in 2016. Patterson noted that attitudes in Edmonton may be shifting. "Edmonton is still very much a suburban experience," he said. "A lot of people go to other grocery stores to save money or because they have a more suburban lifestyle, even residents in downtown Edmonton," he said, "But not all of them. There are certainly some who choose not to drive a car much or have one at all."